It seems like Big Ant Studios really went all out with AO International Tennis’ gameplay. 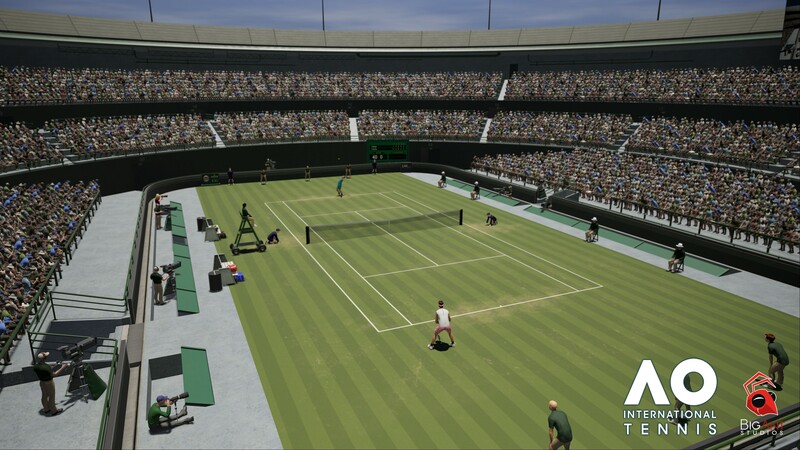 From what the new trailer shows, almost every – if not all – types of tennis shots were included in the game, and players have the ability to do them all. For the types of shots shown in the trailer, players will be able to do flat shots, slices, top spins, lobs, drops, aggressive shots, volleys, and smashes. All of this will be available at certain button presses and will consume a player’s stamina depending on the shot. There will be a stamina bar located near each player’s head. Not only will it indicate the timing you are going to pass back or win a shot, but stamina will also drain depending on the shot. This might mean that there will be consequences of doing a certain powerful shot over and over again. If the other player can return it, your stamina will decrease more and more. It will probably prevent you from doing certain actions or inhibit you from reacting faster due to lack of your character’s stamina. Another thing shown by the game is and how the stamina bar also acts as a power bar of some sort. There’s also an accuracy meter in the form of a ball-shaped meter near the stamina. It glows differently according to how accurate the player will be when doing a shot or serve. The gameplay trailer also shows a bit of doubles gameplay, and the player’s ability to challenge the call of the umpire. Doubles gameplay will be a bit different with singles matches, as you need to take into account each player’s ability for certain different types of shots. Meanwhile, challenging the umpire’s calls will reward you if done correctly. If you bungle your challenge though, the player will have one less challenge call for the rest of the match. AO International Tennis will be released next Tuesday, May 8. If you are interested in how the game looks, just see these screenshots below.